Hi! 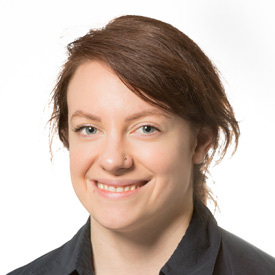 I’m Victoria, I’m a Physiotherapist and Kinesiologist with a passion for natural and holistic treatment that gets to the root of a person’s issues. Wanting to provide the most comprehensive service possible is what prompted me to study to become a Kinesiologist, which enables me to not only treat the emotional and energetic cause of a person’s musculoskeletal pain and tightness, but to also assist in the treatment of stress related conditions ranging from adrenal fatigue, hypothyroidism, digestive issues and PMS. I hate to see people suffering, having experienced various health challenges myself and now feeling lucky enough to be on the other side of it enjoying my life. I also really love dry needling muscles like there’s no tomorrow and have been doing so for almost 10 years (I’m pretty sure I could do it with my eyes closed but I promise not to test that theory out on you). When I am assessing a new patient, I like to leave no stone unturned. So even if you come in with a pain in your neck, I will still assess you from head to toe to ensure I don’t miss anything that could be contributing to your pain. I’m also trained in teaching DMA Clinical Pilates which can be very beneficial for people suffering from neck and back pain due to poor posture, as well as those looking to improve their strength and control to enhance their sporting performance and prevent injuries. I love running, yoga, playing music and cooking secretly healthy food. If it sounds like I’m the right therapist for you, I’d love to meet you and help you navigate your way to optimum health and wellness.